Multi-platform integration is very important in today’s tech world. Technology now allows us to connect basically any device with another one, for maximized mobility and productivity, or simply because we don’t want to leave the couch to change the song on YouTube. Perhaps the most popular multi-platform integration is the integration between Windows PC and Android. There are various apps that allow us to control our Windows 10 computers from the comfort of our bed, couch, or when we’re outside the house, using Android apps. There are two types of apps for remotely controlling a Windows 10 PC with an Android phone. The first type serves as a projection client, and ‘transfers’ our PC screen onto our Android phone, allowing us to control the PC like we do with touch-enabled monitors. The second one serves as a remote control for mouse and keyboard on our PCs. Whichever type you prefer, we’ve prepared a list of the best Android apps (of both kinds)for controlling Windows 10 PC. So, sit back, relax, find a proper app, and you’ll never have to get up off your couch to do something on your computer. 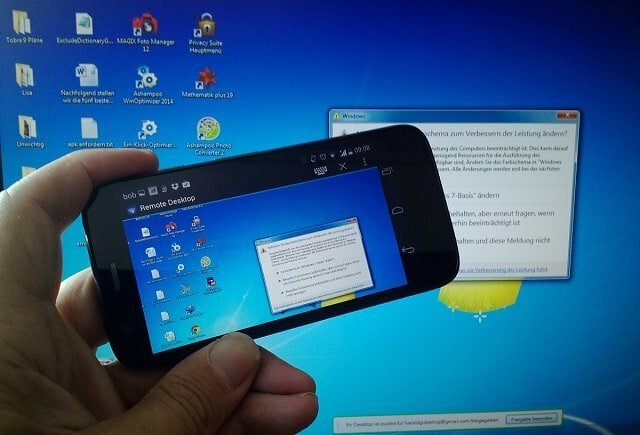 TeamViewer is perhaps the most popular program for controlling one computer from another, but it also has an Android version. TeamViewer for Android is pretty stable, fast, and secure, just like its Windows PC counterpart. Besides the ability to control one device from another, TeamViewer also allows you to transfer files between the devices. There’s also full keyboard support, as well as support for multiple monitors. 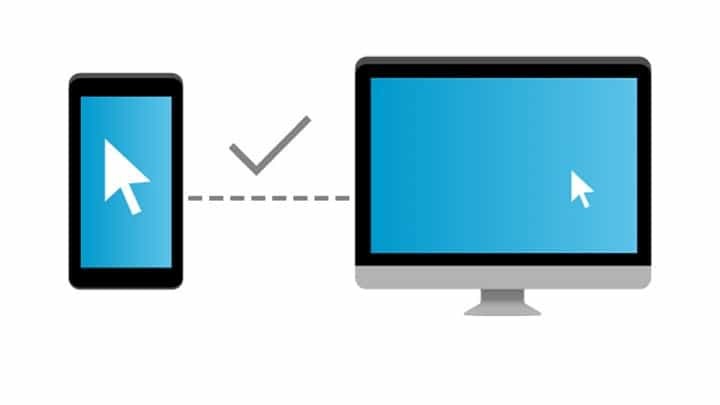 When it comes to connecting your PC and Android via TeamViewer, the process is pretty much the same as connecting two computers. Just enter your computer’s TeamViewer ID and password, and you’re good to go. 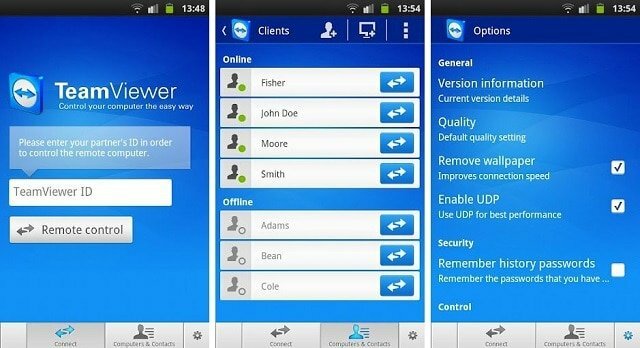 Also, TeamViewer is perhaps the most business-oriented remote control app on our list. Remote Control Collection is one of the most versatile apps for controlling your PC from your Android phone. It is the combination of both above-mentioned methods, as it allows you to control your mouse and keyboard, as well as project your PC screen on your phone. Besides controlling your desktop, you can also manage files, slides, and more. 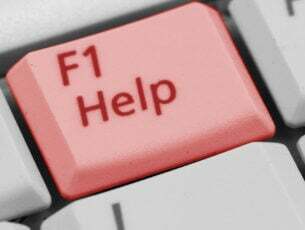 However, only mouse and keyboard control are available in the free version. For more advanced options, like Live Screen , Media Player, and Slideshows, you’ll have to purchase the Pro version. To connect Remote Control Collection with your computer, download the app on your PC, identify your IP address, and pair two devices. Setup is pretty easy, and it shouldn’t take you much time. When you start the app on your phone, you’ll notice it is divided into two sections, Remotes and Devices. The Remotes section allows you to control your computer, while the Devices section allows you to manage all your connected PCs. 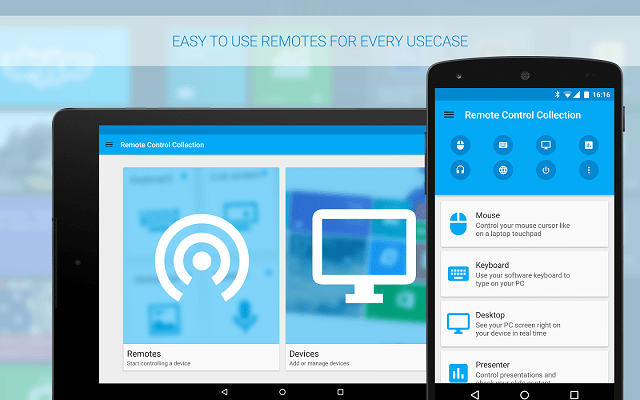 You can download Remote Control Collection from the Google Play Store. For users of Google Chrome, Google has prepared its own app for remotely controlling your PC from your Android device. All you need to do is to download Chrome Remote Desktop on your phone, and install the extension of the same name on Google Chrome on your PC. Once you install the extension, you’ll be able to pair two devices, and remotely control your computer from Android. Although this is just a Chrome extension, it is not limited to the browser only, as you can control basically anything on your computer, as long as you’re signed in to Chrome. So, the only requirement is to have Google Chrome with this extension installed on your computer. When it comes to performance, it is pretty solid, and you should be satisfied. There’s, however, a slight delay while a connection is first established, but after that, you shouldn’t have any complaints. 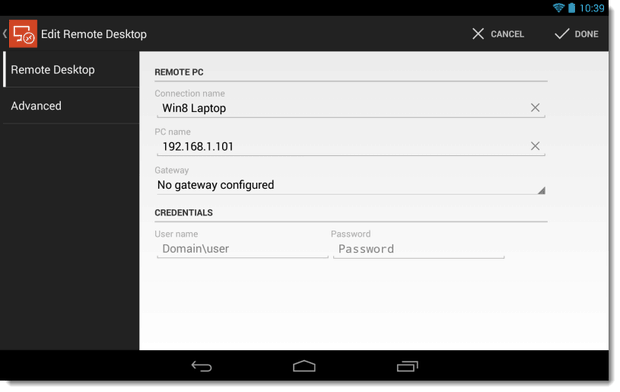 Chrome Remote Desktop is available for free in the Google Play Store, and in the Chrome Web Store. Microsoft’s answer to Chrome Remote Desktop is Microsoft Remote Desktop. Although the app works best with Windows 10 Mobile devices, it is also available for Android. All you have to do is to download the app on both PC and Android, and pair two devices. With Microsoft Remote Desktop, you can control your PC wherever you are. It also provides pretty accurate screen projection, as well as quality audio and video streaming. 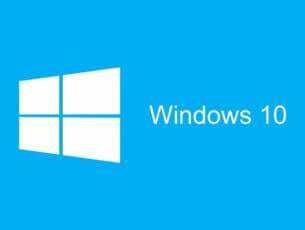 However, this feature is available only on Pro and Enterprise versions of Windows, so if you’re running Windows 10 Home, you’ll have to look for another option. You can download Microsoft Remote Desktop from the Windows Store, and from the Google Play Store. If Google and Microsoft have their own remote control apps, why wouldn’t Asus? 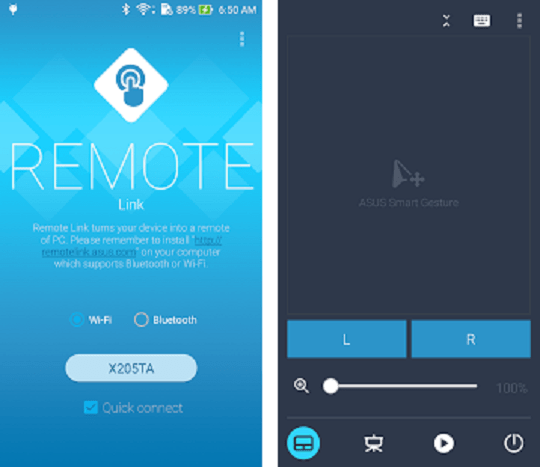 Asus’ Remote Link is a pretty stable app for controlling your PC from your Android phone, that offers everything you’d expect from such service. Among other features, Remote Link supports multi-pad gestures and Android Wear compatibility. So with this app, you’re not only limited to your Android phone, but can also control your PC from your Android watch. The user interface of the app is pretty neat and clean, and you won’t have any problems getting around. Even though this app was developed by Asus, it is not limited to Asus devices only, as you can use it on pretty much any phone, Android watch, and PC. You can download Remote Link from the Play Store for free. Unified Remote is another feature-rich app for controlling your Windows PC with your Android Phone. However, this app works a little bit different compared to its competitors. Unified Remote supports over 90 Windows programs and apps which you can control from your phone. The app allows you to perform various tasks, like pausing a song on Spotify, moving on to the next slide in PowerPoint, and more. Each program has its own controls and abilities, that you can manipulate with Unified Remote. When it comes to design, Unified Remote has a pretty clean user interface, which can be customized by choosing between various themes. The app is available for free, but if you purchase the Pro version, you’ll be able to use even more features, like voice commands, NFC commands, Android Wear support, and more. 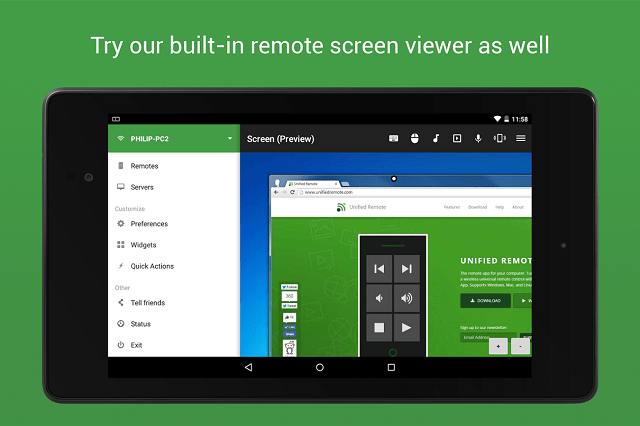 You can download Unified Remote from the Google Play store. 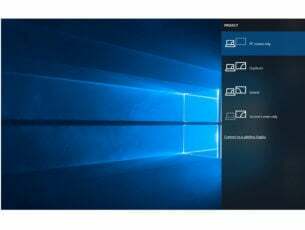 Of course, there are many other apps for controlling Windows 10 PC from Android phone, but we think these are the best options. Let us know what do you think about our choices in the comments, and feel free to suggest more apps, if you feel like we missed some.